Infiniti have been trying to crack the premium market for quite some time now, and with the new Infiniti Q30 Hatchback, they might have at last unlocked the doors. The car is destined to make an impact in the UK market – it shares its chassis with the Mercedes A-Class, as well as various other mechanical bits and bobs that include the engines, it’s economical and well-equipped. It’s stylish, too. So stylish, in fact, that if you were making your buying decision based on looks alone, this one would stand out. As you’re not doing that, join OSV as we take a closer look at what it has to offer without Infiniti Q30 Hatchback review. Like a lot of brands in this sector, Infiniti played it safe when developing their car. This means that comfort is its asset, as opposed to fun. As such, it can’t provide a rival to the BMW 1 Series if you want driver involvement, but it does offer a comfortable ride experience. The handling is on the whole slightly disappointing and unremarkable, but it does get you from A to B pretty quickly. Four-wheel drive comes as standard, which means there is a lot of grip, but it scores poorly on agility. Opt for the Sport model and you’ll ge a firmer suspension, which makes the driving experience less enjoyable. Add the 19” inch alloys, and ride quality will be diminished, too. You get to choose between a 6-speed manual and a twin-clutch automatic ‘box, with the former borrowed from the Mercedes A-Class. It’s light and useable, but isn’t as smooth as some of its rivals in this class. In terms of the engines, neither the entry-level diesel or petrol units are lively or powerful. Fortunately, there are beefier alternatives in the form of a 2.0-litre 205bhp petrol and a 2.2-litre 165bhp diesel. None of these engines will enhance handling, though, and if you want the best performer in the range our top pick is the Q30 Sport. It’s paired up with a turbocharged 2.0-litre 205bhp petrol engine that can get you from rest to 62mph in 7.3 seconds. The Infiniti Q30 Hatchback is a really stylish hatch that stands out from the crowd. Curves and creases are in abundance, and the look is one that is slick, sophisticated and contemporary. The design is a really crucial aspect of this car’s appeal, and it’s easily one of the best-looking hatchback’s on the market. The interior largely follows suit, although it’s not quite as upmarket as the Mercedes and Audi in this sector. Still, it’s luxurious, feels well-assembled, and there is a lot of equipment on offer. Wind and road noise is kept well insulated, and it’s possibly the quietest car in its class when on the move. It’s also super comfortable. 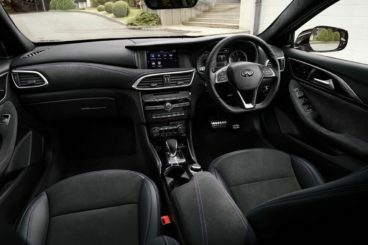 But because its interior isn’t quite up to the standards set by some of its German rivals, it’s hard to say that the Q30 offers value for money. Space is at a bit of a premium, and adults in the rear will struggle for head and legroom. Even the driver’s seat is pinched for space, which is a bit of a negative. The seats, however, are comfortable. The boot is also average. Measuring at 368-litres, it’s not the biggest in the class. It moreover has a high loading lip, but the opening makes access easy. Standard equipment for the entry-level model included electric and heated mirrors, height adjustable driver’s seat, parking sensors, remote locking and traction control. The sports trim adds climate control, cruise control and heated seats, while the premium model includes front fog lights and lumbar support. The business executive model treats you to satellite navigation and partial leather seat trim. Prices for the new car start out from around £20,000 and rise to £32,000. If you want to lease it over three years on a contract hire, you could pay as little as £205 + VAT per month. Running costs are overall hit and miss. The entry-level 1.5-litre 107bhp turbodiesel returns around 68.9mpg and emits just 108g/km of CO2, which means that it will only cost you £20 per year in road tax. But although these numbers are certainly attractive, this engine is a little bit too slight and doesn’t really keep up with the premium image of this car. Moreover, our test drive returned dismal figures of 48mpg. The 2.2-litre diesel looks for all the world like a smarter option. It’s good for 165bhp, costs £130 per year to tax, and although it isn’t as cheap to run as the the 1.5-litre unit, it’s got more performance. As usual, the petrol units can’t compete with the diesels when it comes to running costs, and the 2.0-litre engine will cos you around £185 per year to tax. Infiniti certainly don’t have as extensive a dealer network here in the UK as bigger brands, and this could be an issue. It really depends where you live, but Infiniti will pick up your Q30 hatchback and return it for free whenever it is in need of a service. It’s hard to gauge how customers feel about Infiniti when it comes to safety and reliability because there still aren’t enough owners for them to appear in most surveys. However, the brand have promised VIP treatment for its consumers this time around. And because this car shares its chassis and other features with the Mercedes A-Class, we expect it to be reliable. The new car is packed with lots of advanced safety technology, most of which comes as standard. Included is a blind-spot warning, parking assistance, emergency braking, forward collision warning, active cruise control and auto-dimming headlights. 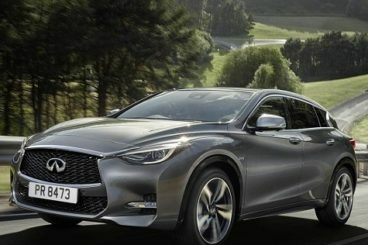 The Q30 hatchback has a five-star Euro NCAP rating and scores highly for adult occupant protection and child protection. Infiniti’s design team have worked hard on the aesthetics here, and its eye-catching style is definitely key to its appeal. Easily one of the most handsome cars in this class, its design could be the one thing that tempts you away from the usual suspects that are rooted in orthodoxy. If you base your car on a Mercedes A-Class, you’d be an idiot to then go wrong. Infiniti have all the equipment in place to make this car a success, thanks to it sitting on the same platform as the A-Class. As a result, it sits a bit higher than your usual 5-door hatch. The best bit? Although it might be based on a German car, it’s actually built in the north-east of England. The Q30 hatchback certainly doesn’t major on practicality, and it definitely isn’t the most spacious car in this class by a long margin. Its boot is fairly competitive, but adult rear seat passengers are going to be pinched for space. Leg and headroom is poor, while taller passengers, in particular, will suffer on lengthier journeys. There is an inordinate amount of trim levels available, but the pricier ones just don’t offer much value for money. For example, there isn’t much difference in terms of the standard kit between the business exec and city black trims, but there is a significant premium. Moreover, size and space continue to be a problem, and £32,000 seems like a lot of money for something of this size. 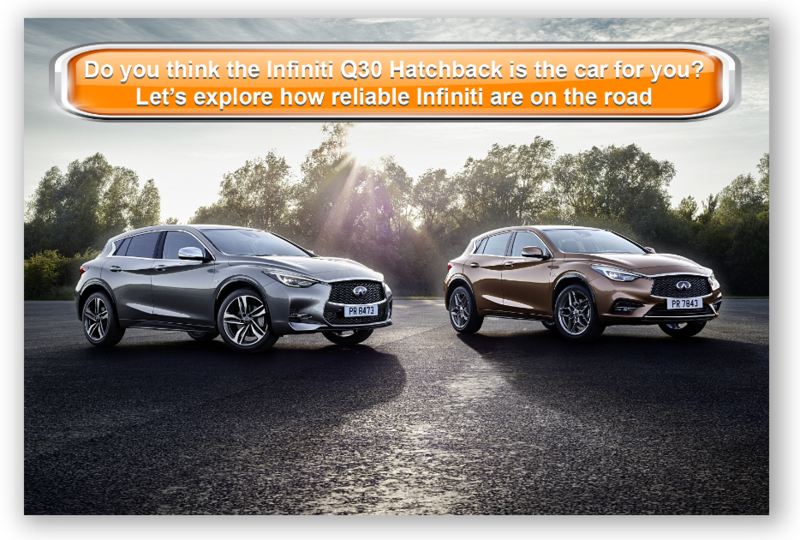 If you think the grass might be greener on the other side, let’s take a look at how the Q30 measures up against some of its rivals in the comparison section of our Infiniti Q30 Hatchback review. 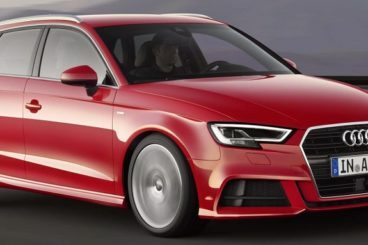 The popular Audi A3 Sportback is now in its third generation, and is arguably better than ever. Now employing a new chassis, it looks and feels contemporary. One of its strengths is its relatively low running costs, which will appeal to buy private buyers and companies. It has a hybrid engine in its range, which is good for 62.7mpg, while the 1.4-litre TFSI diesel benefits from cylinder-on-demand tech and can achieve 61.4mpg off a sensible drive. The numbers are easily better than those managed by the Q30. It’s also fun to drive, even if the handling is a bit predictable at times. Whichever engine you choose, you’ll get more power and punch than an iron man’s packed lunch, and there is a unit to suit all tastes and preferences. Even the smaller petrols offer a good mix of price and performance. One of the areas that lets the Infiniti down is its practicality. The Audi A3 Sportback has a wheelbase that is 58mm longer than last time around, and is now one of the most spacious cars in its sector. It’s durable, too, and will stand up to what your family put it through. Its 380-litre boot, however, is only marginally bigger than the one in the Q30. Overall, the interior is among the most luxurious in this sector. Where the Infiniti really stands out is in terms of sharp, bold and brave styling. The Audi, by contrast, is conservative, though still handsome. Volvo has pulled all the stops out with their V40 hatchback as they make a valiant effort to end the duopoly of BMW and Audi in this sector. But they may have an unexpected rival in the form of Infiniti. As usual, Volvo has made a car that is safe as houses. 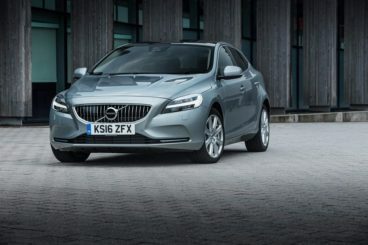 Euro NCAP gave the V40 a ninety-eight percent rating for adult occupation protection, its safety bolstered by the addition of City Safe, an automatic braking system that is standard right across the range. When you cruise at low speeds, the system puts on the brakes if it detects an upcoming obstacle. Unsurprisingly, the V40 is also super economical and efficient, with its most frugal engine emitting an incredible 94g/km of CO2. Average running costs are 78.8 mpg, which is very impressive. It’s not as fun to drive as some in this class, and the steering is a bit lifeless at times, but there is a good mix of sharp handling and comfort. The car employs a front-wheel drive layout which is unorthodox but it means that the handling is safe and predictable – which some drivers will prefer. Inside, the car is very comfortable and looks stylish enough. The dashboard is ageing badly, though, and does let the car down while overall the fit and finish can’t compete with the Audi. Rear space is a bit cramped for five adults, but four should be able to sit comfortably, while the 335-litre boot is a big disappointment. If we all bought family cars based on their looks alone, this one would sell by the bucket load. It sports a unique look that provides a good alternative to what we’re used to seeing from the German’s. It isn’t going to be to all tastes, of course. Where it falls down slightly is in terms of value for money. This car isn’t cheap, but it also doesn’t offer the kind of space and practicality you’d expect for the price. It’s good for long distance cruising, and provides high levels of comfort but the cramped rear might be a deal breaker. Overall, the Infiniti Q30 hatchback is a welcome alternative in a bit of a stagnating sector.